You are here: Home / Health & Fitness / How Do I Know If I Have a Food Intolerance? Everywhere you go, people are going dairy-free, gluten-free, allergen-free . . . so how do you know if YOU have a food intolerance? First, recognize that they are very common, but they are also very different from allergies. Anaphylaxis or immediate allergic reactions involve an immune response. Those can be serious and life-threatening. If you have any allergies, you need to steer clear of any traces of foods you are allergic to, and speak with your doctor or pharmacist about emergency medication, if necessary. 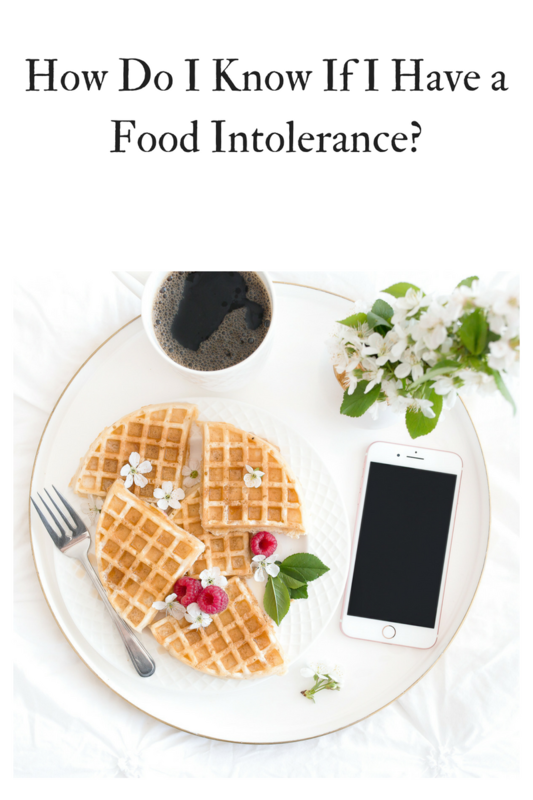 In this post we are talking instead about an intolerance, meaning you do not tolerate a specific food very well and it causes immediate or chronic symptoms anywhere in the body. Symptoms can take hours or even days to show themselves. And symptoms can be located just about anywhere in the body. IMPORTANT NOTE: When you eliminate something, you need to make sure it’s not hiding in other foods, or the whole point of eliminating it for a few weeks is lost. Restaurant food, packaged foods, and sauces or dressings are notorious for adding ingredients that you’d never think are there. You know that sugar hides in almost everything, but did you also know that wheat is often added to processed meats and soy sauce, and lactose can even be found in some medications or supplements? When in doubt you HAVE to ask the server in a restaurant about hidden ingredients, read labels, and consider cooking from scratch. If eliminating these two common food intolerances doesn’t work, then you can go one step further to eliminate all dairy (even lactose-free) and all grains (even gluten-free) for three weeks. Precision Nutrition has a convenient infographic on how to do an elimination diet here.